Above is the new slogan used by the Department of Tourism in promoting our beloved country, Philippines... Previously it was WOW PHILIPPINES but now it is PILIPINAS KAY GANDA (Philippines, So Beautiful ;). 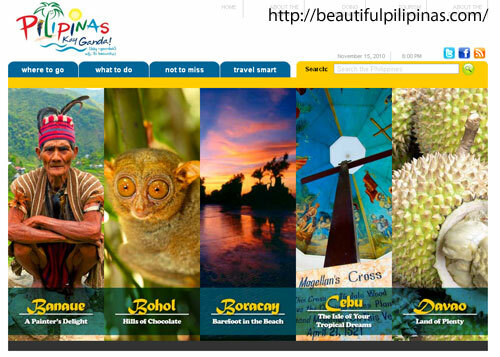 Beautiful indeed because Philippines is rich in natural resources and blessed with perfect scenery! Like other countries, Philippines have also its share of downfall when it comes to economic aspect but the strength and faith of the Filipinos is what keeps them stand still amidst bad circumstances. I am so proud to be a Filipino!